Words cannot express the joy it brings my little beating heart to see great art fill the world. I especially geek out over all things holiday-themed. 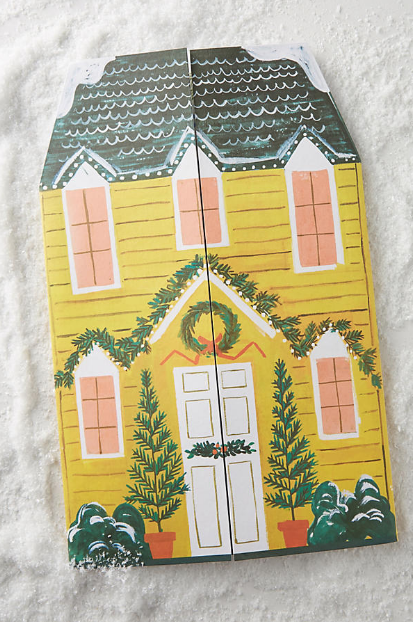 This year I wanted to share my top picks for holiday items that are made or designed by artists that you can purchase online to fill your little beating heart with joy, too. Would these items not make excellent gifts? 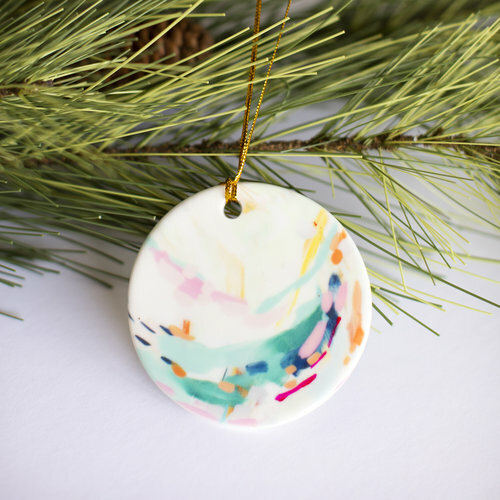 First, these hand-painted ornaments by Emily Jeffords, Katherine Jury, and Britt Bass Turner. Could not be cuter. 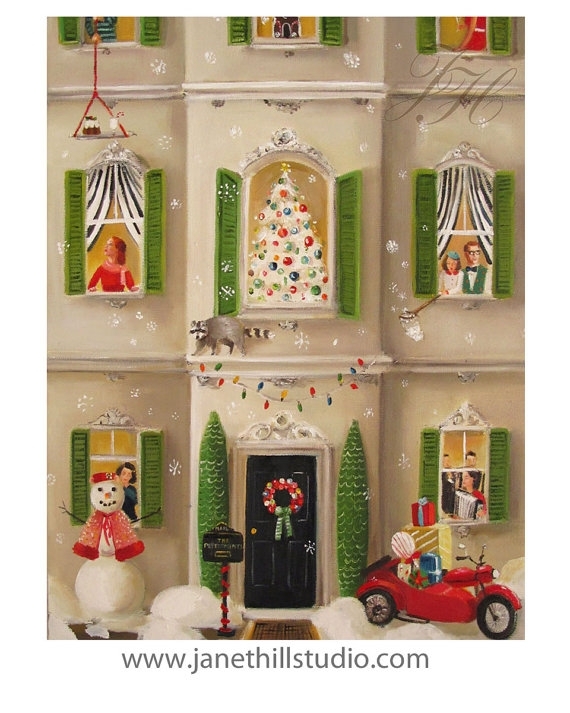 In terms of holiday-themed wall art, there is no one who's painting hold more magic for me than Janet Hill. I can't even pick a favorite. 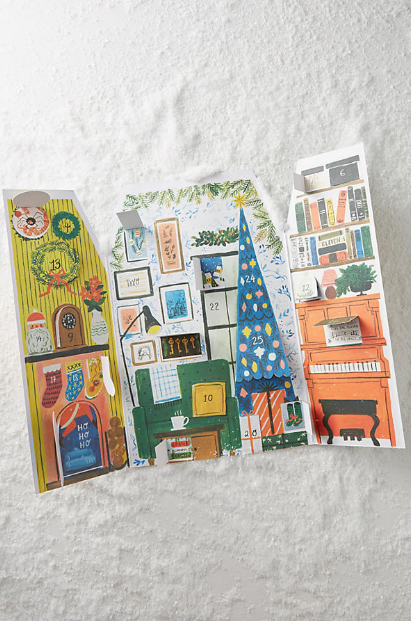 Browse her Christmas prints here. Is it ok if I include a few of my own things? I mean, if I didn't think they were cute or worth buying, I wouldn't make them, right? The Santa and Red Truck ornaments are a few of my favorites this year. 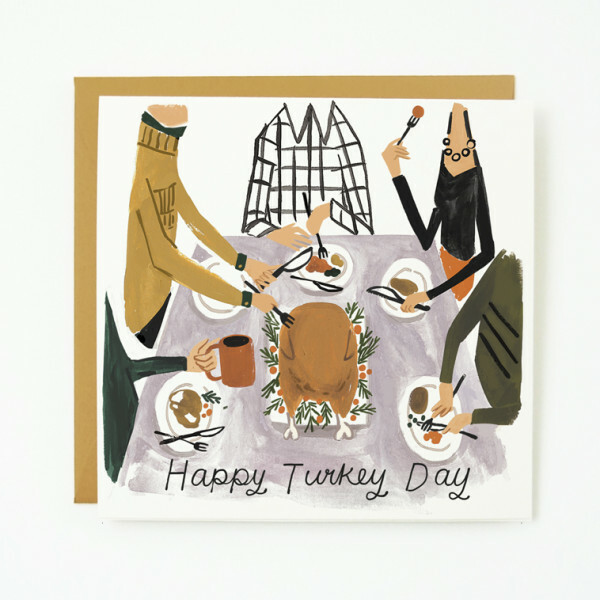 Same artist as the Advent Calendar- this Thanksgiving card is just adorable! I SO wish there were more Thanksgiving products out there...maybe I should design some...no, Michelle, stay focused! 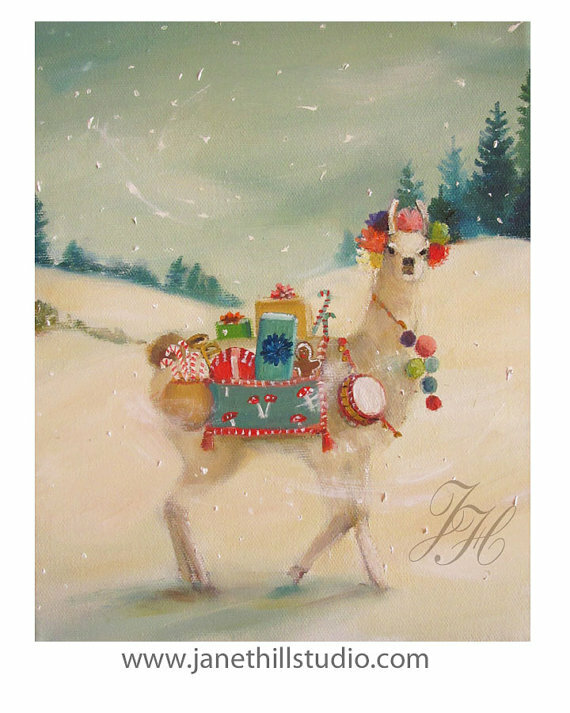 I love the slightly less traditional Christmas card designs, like this super cute card by Emma Block. I'm easily bored by the overstocked generic discount cards you find everywhere this time of year. No thank you. I'm always swooning over the creativity and design work of artist Roxy Marj. 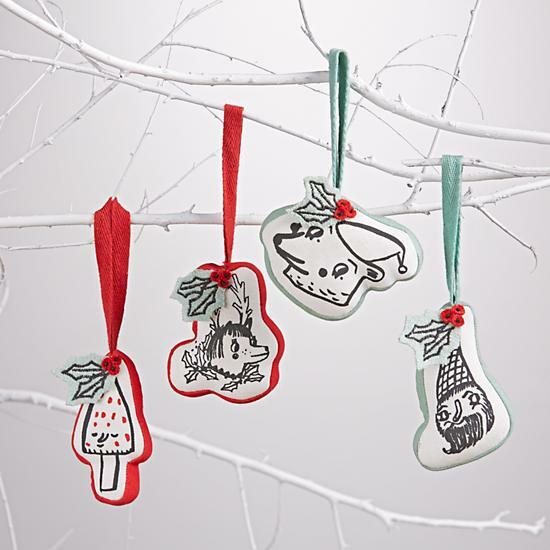 Her stockings and ornaments for Land of Nod are the perfect blend of odd and adorable and quirky and fun. That little red mushroom ornament! And last but not least I wanted to introduce you to my very own Custom Ornament Gift Certificates, available for purchase here to reserve your spot on my Custom Home Portrait Ornament Wait List. I've had so many requests for these custom ornaments, and I just can't seem to paint them fast enough! 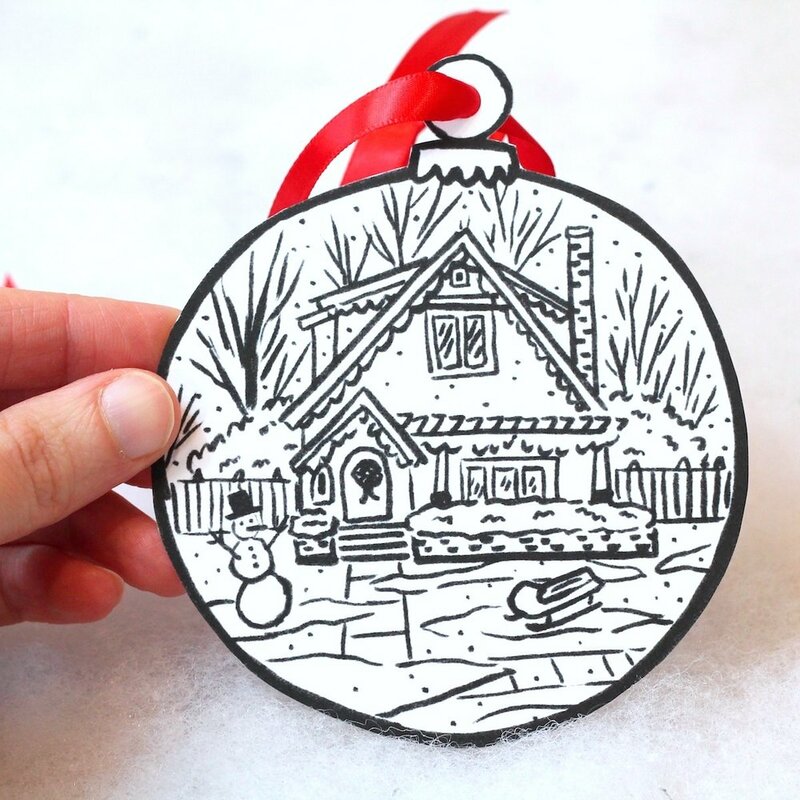 So, I've made this super cute ornament gift card just in time for the holidays. I really hope you enjoy the creativity and talent of these fun artists I've featured today!